The P.D. Pitchford Companion Animal Village & Education Center is a model program of private and public collaboration between spcaLA and the City of Long Beach. The Village model was the first of its kind in America, now often duplicated. 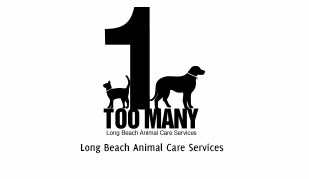 The Village fully integrates spcaLA, Long Beach Animal Care Services (LBACS), and all major program functions into one complex. It revolutionized the way shelters are designed and managed, setting a replicable benchmark in cost-effective, life-preserving care for abandoned and abused animals. How does the Partnership benefit the city of Long Beach? spcaLA fundraises for and provides flea treatment, food, toys, and other enrichment supplies for ALL animals on the property – including those in the care of LBACS. In facilitating adoptions, spcaLA provides adoption counseling, spay/neuter surgeries, and more for adopted pets. As an agency with multiple facilities and roots throughout Southern California, spcaLA is able to present adoptable pets to wider range of potential families. spcaLA regularly lends assistance and expertise to LBACS, in matters pertaining to animal cruelty, disaster response, and professional development. How can I adopt a pet at the Village? At the Village, any animal that is available may adopted through spcaLA. Visit our adoption page for a complete list of adoption fees and requirements. Can you tell me about animal movement at the Village? As animals come to the Village, some available pets are moved to the care of spcaLA while others remain in the care of LBACS, but all may be adopted through spcaLA. This movement is made not because spcaLA has “pulled” or “rescued” certain pets, but rather to make room for the constant influx of animals at LBACS, reduce disease transmission, allow lost and other pets to be held for legally-mandated timeframes, and permit the separate spcaLA and LBACS staffs to provide care and supervision of animals. Movement to a new area of the Village can be very stressful for shelter pets, and as such, spcaLA often moves the animals that appear to be the least susceptible to conditions made worse by stress, and who will remain at the shelter the shortest amount of time prior to adoption. Strategic movement of shelter pets works to increase adoptions, reduce disease transmission, and strengthen the human-animal bond. Is spcaLA a part of the city? 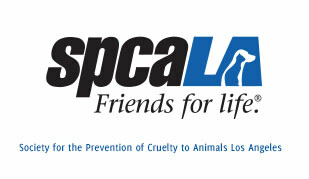 spcaLA is a private, nonprofit animal welfare agency. spcaLA is not funded by the City of Long Beach, nor is spcaLA a city entity. spcaLA and LBACS maintain separate staffs, budgets, and operations, though we collaborate for the benefit the animals and citizens of our community. As a nonprofit, spcaLA is funded by donations while LBACS is a government agency. After an initial development grant from the City of Long Beach, spcaLA fundraised for and built the Village, as well as Phase II construction (including LBACS feral and stray catteries, a pet hotel, grooming salon, and pet supply marketplace). In 2001, spcaLA leased the entire Village campus from the city of Long Beach, for a period of 55 years. In turn, spcaLA leases space back to LBACS for city operations. Do spcaLA and LBACS have other partners? spcaLA’s most important partner is YOU! Your support will help us prevent animal cruelty through Education, Law Enforcement, Intervention, and Advocacy. After all, it takes a Village to provide for the care and well-being of the animals in our community! spcaLA partners with other credible animal welfare agencies for a variety of reasons – transport of animals to other parts of North America; public-benefit spay/neuter; and breed rescue. Sometimes, a small rescue, specializing in one type of animal, has the time, resources, and network necessary to provide that animal with the best quality of life. Similarly, LBACS works with a variety of community groups. Are there animals whose adoptions cannot be facilitated by spcaLA? Animals under the care of LBACS veterinarians for significant medical conditions are adopted through LBACS, as the city must issue a notice to comply (a legal order compelling the adopter to take the pet to a veterinarian for follow-up treatment). Additionally, certain animals are deemed “rescue only” by LBACS, for behavioral or other concerns. spcaLA does not facilitate these adoptions, as they are not recommended for adoption by the public.